We love to walk on the boulevards, to lose ourselves on hidden streets, we feel intimidated by the palaces on Calea Victoriei and we are fascinated by the old villas. One might say that we are incurable dreamers. And so it is! And today we are talking about one of our recurring dreams: Queen Maria. Today, on 18th of July, we are also celebrating and remembering her majesty. Did you know that it’s been 80 years since she passed away? Because Iutta means Romanian stories, we want to go together on a journey in the past. What do you say? Ever since we were little, we dreamed about being princesses and queens, and we imagined ourselves in amazing dresses, walking through the rooms of our dream castle. Mary of Romania was the crown princess and the second queen of Romania, but also the great princess of Great Britain and Ireland, being the niece of Queen Victoria of Great Britain. 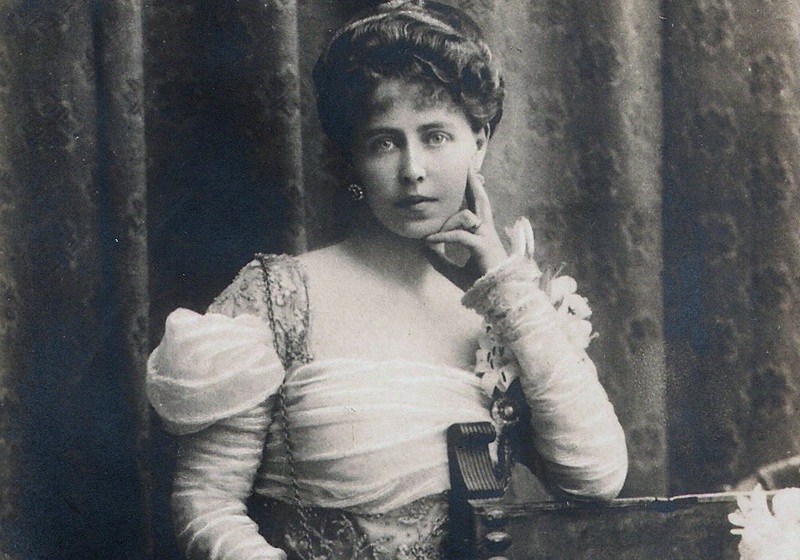 She married at 17 years old with Prince Ferdinand, in December 1891. Immediately after she began a life full of love, passion, kindness and style. And if someone where to make a tv-series about it, it could be as successful as The Crown. 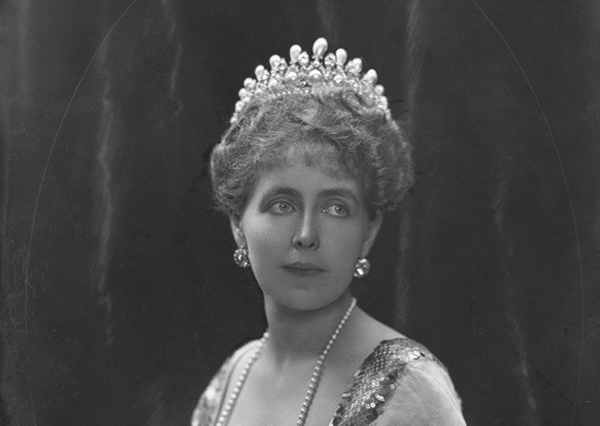 Princess Maria was considered one of the most splendid women in Europe. She was intelligent, noble in attitude, and embodied the romantic ideal of any man. And all these qualities were also seen in her dress style, which was as appreciated as Meghan Markle and Kate Middleton’s fashion taste is today. At the same time, we must remember that the fashion industry at the time was on high heights. Great fashion designers, such as Jean Patou, Paul Poiret, Madame Louise Chéruit and Coco Chanel, were implementing the quintessential imagination of the queen and constructing avant-garde gowns for her. Of course, let’s not forget about the imposing Cartier jewelry, some of which can be seen today at the Romanian History Museum. „Beginning of a usual day, with croitories, modish, boots. I decided to make some dresses at Cheruite, a house where Ducky, a long time ago, used to dress with a refined taste. I liked their models, they are the kind that a woman with “shapes” can wear, but I do not want to order anything but the necessary, nothing more. Then, along with Mignon, we went to her tailor to order two poodles, one dark blue and one dark, very dark, the simplest possible lines at decent prices. Dfrom there we walked a little on the streets and we had fun entering various shops. 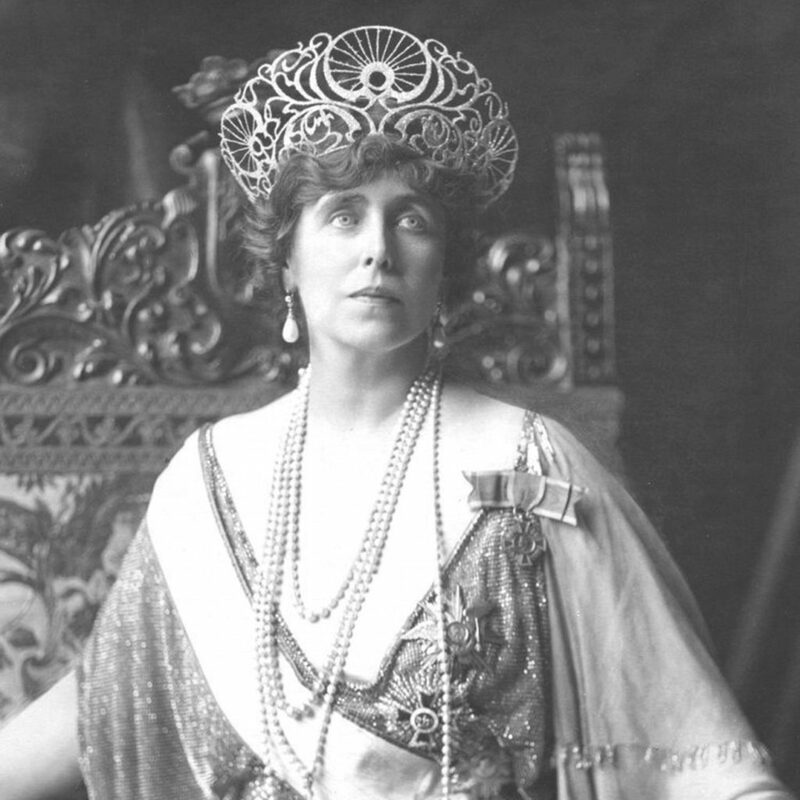 I bought an adorable shimmering rose petal hat, round like a turban that attracted my attention a few days ago and that I wanted for tonight’s dinner”, the queen wrote on June 28, 1920 in her diary. The flapper style, recognized by short haircuts, dresses in straight lines, with a low waist and by the small hats decorated with sequins, was also adopted by Queen Marie. However, through her strong and non-conformist attitude, she has always managed to keep her nobility and royalty, despite all the criticisms. Although she was a great fan of the Parisian fashion and came from a culture different from the Romanian one, the Queen proved to be extremely fascinated by the Romanian national port (yet another proof of the beauty of the traditional motifs we love so much). 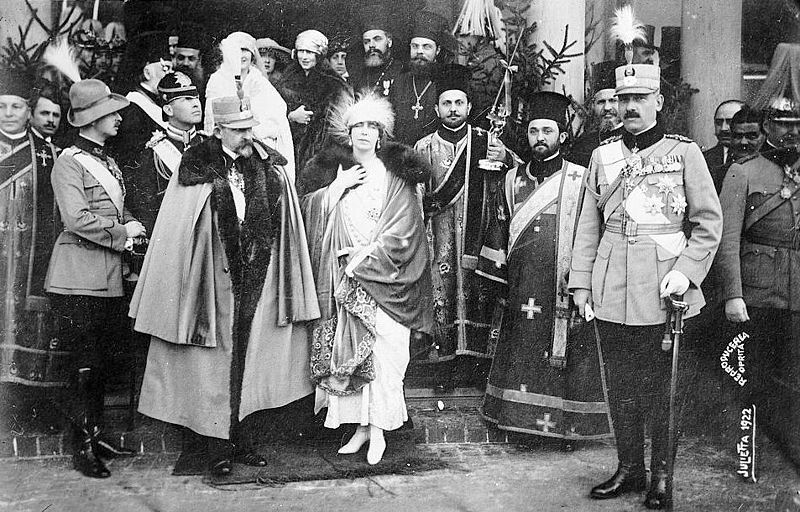 On the trips she made in the country, the sovereign usually wore traditional Romanian costumes from various areas, which would surely had been a great match with our Iuttas. 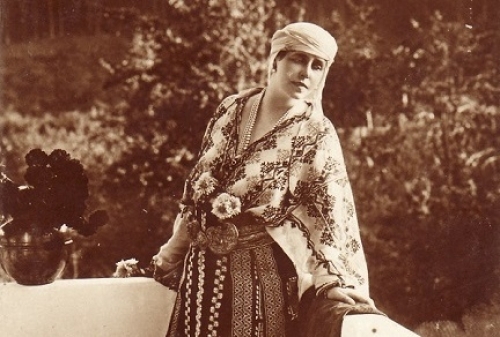 She appears in many photographs wearing these unique popular costumes, sometimes woven with gold or silver thread. 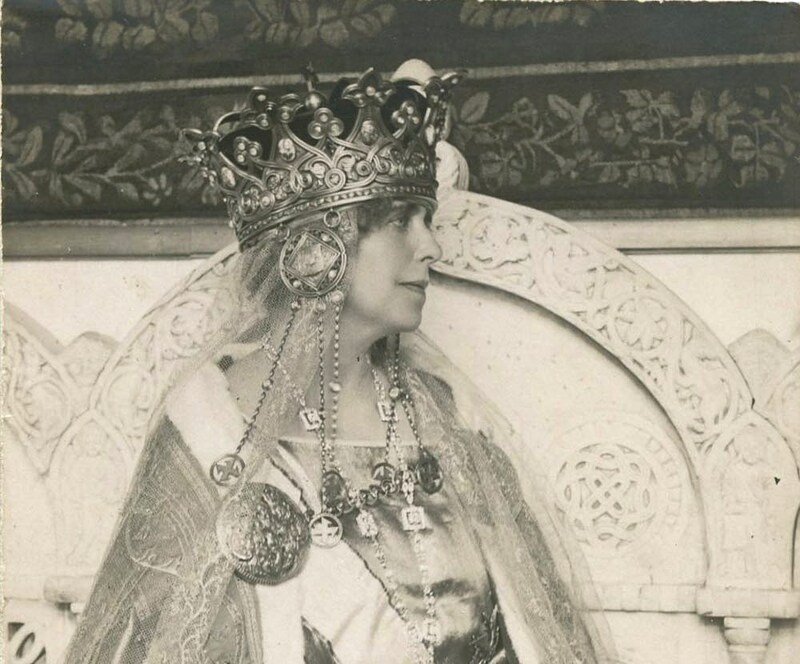 Giving the fact that Iutta appeared later, Queen Marie had to accessorize her outfits with jewelry. The pearl necklace was her favorite and she often wore it with the national port. Earrings, bracelets, necklaces, or crown jewelry, almost all had pearls. Another predominant accessory in the wardrobe of the sovereign was the oversized hat. Which one of us never wore a diadem or a crown (this category also includes the paper or plastic ones we used to play with when we were children)? And who among us has not dreamed of a real crown? Well, if we were to receive one, we would want it to be Queen Marie’s crown. The model was inspired by Mrs. Despina, the wife of Neagoe Basarab, and made after the sketches of the painter Costin Petrescu. It was worked in a Byzantine style by the Falize Jewelery House in Paris. On the side there is a pendant, with one disc hanging three beads, finished with a gauze cross. 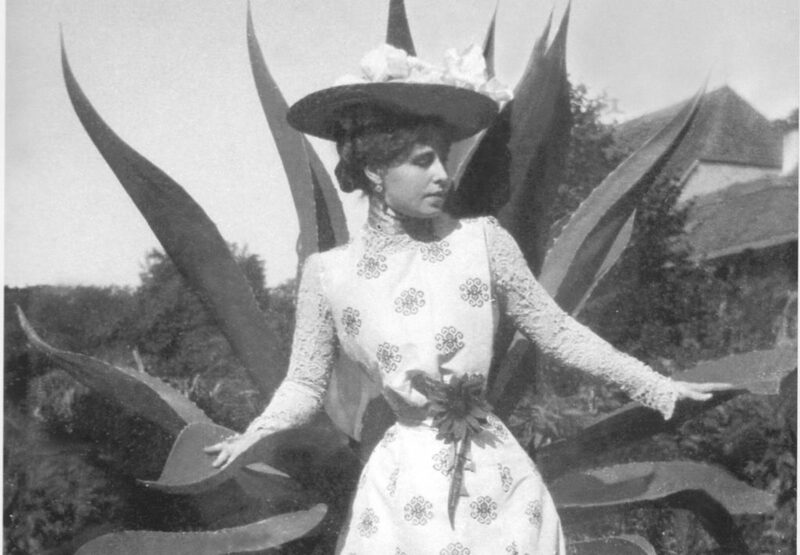 We could write about Queen Marie’s style forever. But we feel extremely inspired, so instead of writing, we want to work. Who knows with what we’ll surprise you!